Happy holidays friends and followers! This holiday season I wanted to go all out spreading holiday cheer and figured what better way than giving away some amazing prizes to all of YOU! So here's the deal: Every other day until Christmas there will be a new post with a new prize. Enter using the Rafflecopter widget embedded in the post and be sure to check social media for additional ways to enter. Each giveaway will run for 72 hours, winners will have 48 hours to claim their prize. Simple enough right? This is going to be a really fun series of giveaways. My friends from Sweetgreen, FlyWheel, Clinique, Cambridgeside Galleria, Athleta, Foxwoods, and more have generously donated over a dozen prizes worth well over $1,700 worth of prizes for this series and today we are kicking off the fun with an 8x10 print from JHill Design! 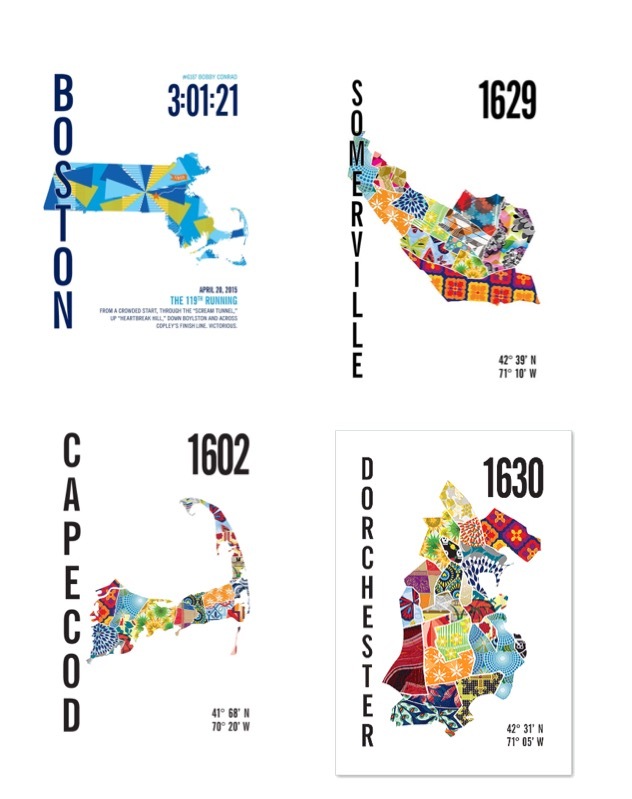 I have their Boston print hanging above my desk but their Wanderlust collection has a whole slew of Boston neighborhoods, cities from across the world, and other states to choose from. Runners will love their Marathon maps where you can customize prints with the year and time of the race making it a really thoughtful gift for friends who have just run their first marathon. To enter use the Rafflecopter widget below! Good luck!